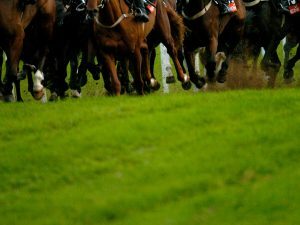 4 winning racing tips from 5 VG Tips selections | Check out VGTips.co.uk! Sunday Sermon. Racists in football never went away. Post Brexit, they’re here to stay. 5 races selected for members on Sunday. 4 winners delivered to those who subscribe to my long established selection service. CHARBEL was a 9/4 NAP betting tip for the Edredon Bleu Chase at Huntingdon. Vanish it did. The best price for Charbel to win the Ryanair Chase now is 16/1. Worthy of an each way punt IF you trust betting in the ante-post market. For the moment, I shall be keeping my powder dry for any Cheltenham bets. The first tip of the day was also at Huntingdon. BAGS GROOVE was a 2/1 tip from me. The gelding won the Class 3 Novices’ Chase. In Ireland, jockey Ruby Walsh and trainer Willie Mullins had a great day, including with my value 5/4 racing tip MIN (nap) and GETABIRD (8/15) – both winners VG Tips members. The end of one year and the beginning of a new one is a good time to join VG Tips for twelve months. That’s how I judge my own success in beating the bookie at the end of each calendar year, as I shall do again in 2018. Already numerous members who joined this time last year, have told me they will be staying for another year of profitable punting at VG Tips. Whether you wish to join for a month or a year, click on this link to become a member.